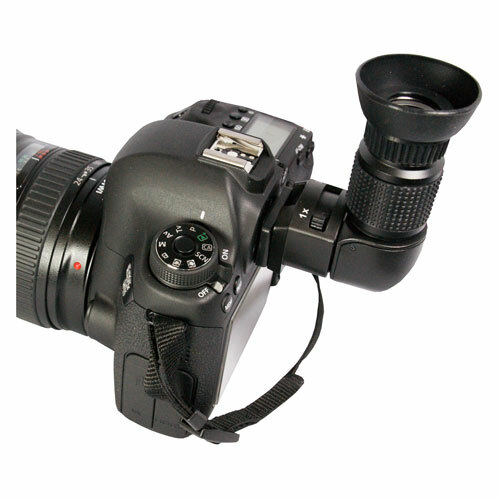 The Right Angled Viewfinder fits most DSLR cameras and has a built in diopter with 1x and 2x magnification. The Right Angled Viewfinder attaches to the camera’s viewfinder and is mostly used for macro, close up photography and for taking photos high on a copy stand for copy work. This viewfinder allows users to view 100% of the camera's viewfinder by looking down into the camera instead of straight into the back of the camera. 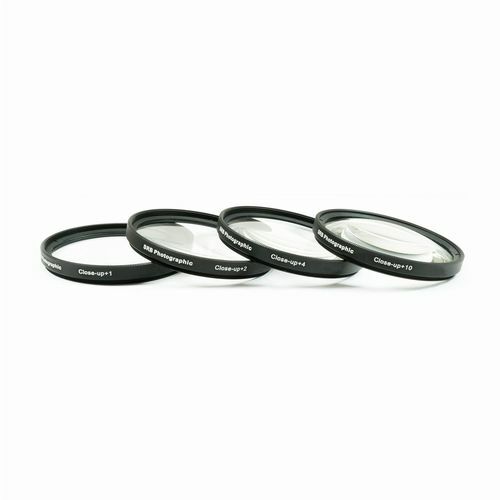 The viewfinder has a built in diopter that has an adjustable magnification range of 1x – 2x with a rotating focus on the eyepiece, as well as being able to rotate 360 degrees for more flexibility. Please note that the edges of the frame will not be visible when magnified. 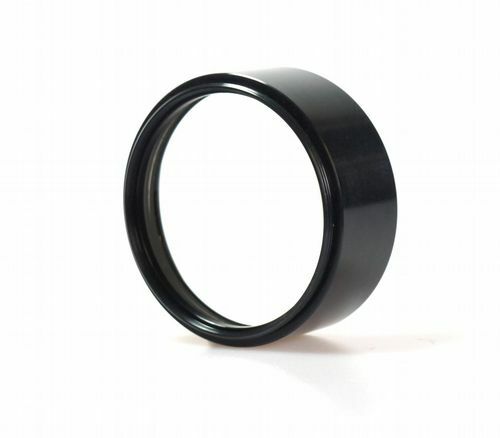 This unit is supplied with adaptors for Canon EOS, Pentax K and Nikon ​​​​​​​cameras.